On this page we will give a short explanation of how our shopping cart system works. Click this button to add the item to your basket. Click "Add to basket" if you are sure that this is the item that you wish to purchase. 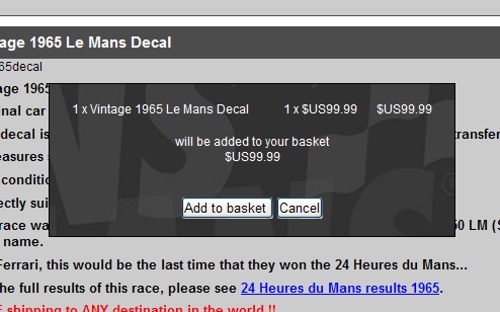 The bar indicates how many items are in your basket and the total price. 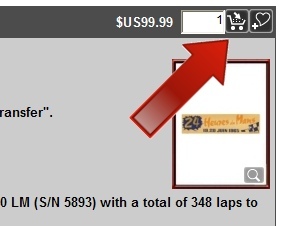 You can now add other products in the same manner or proceed to the check-out to finalize your purchase. 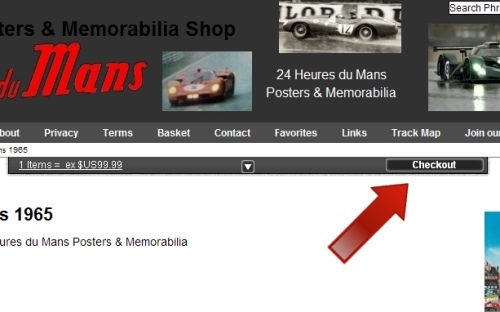 To go to the check-out simply click "Go to check-out", indicated by the red arrow in the image above. Please note that at this moment, we still offer free shipping on all our items but that the free shipping does NOT include any possibility to track & trace your shipment, nor does it offer insurance in case the shipment goes lost or gets damaged. If you desire both track&trace and insurance, please select the "Insured Shipping" option (@ 32,50 US$). At the secure check-out, you can select your preferred method of payment (Visa, Mastercard, American Express or Paypal). For Visa and Mastercard: The last 3 digits of the number that is printed on the back of your card. After you have filled in all required data, you can click the green button at the bottom of the screen to review if everything is correct and if it is, you can send your order off to us after which we will process it. 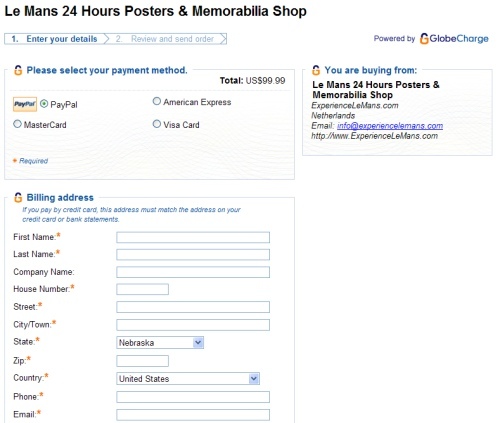 We wish you happy shopping at www.experiencelemans.com !